Today, Grand Central by Scandic is opening the doors to a new world of culture, art and music. 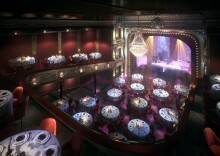 The hotel has been combined with Vasateatern’s historic premises to become Scandic’s second signature hotel. In doing so, Grand Central is consolidating its position as the undisputed scene for musical and theater events in central Stockholm.